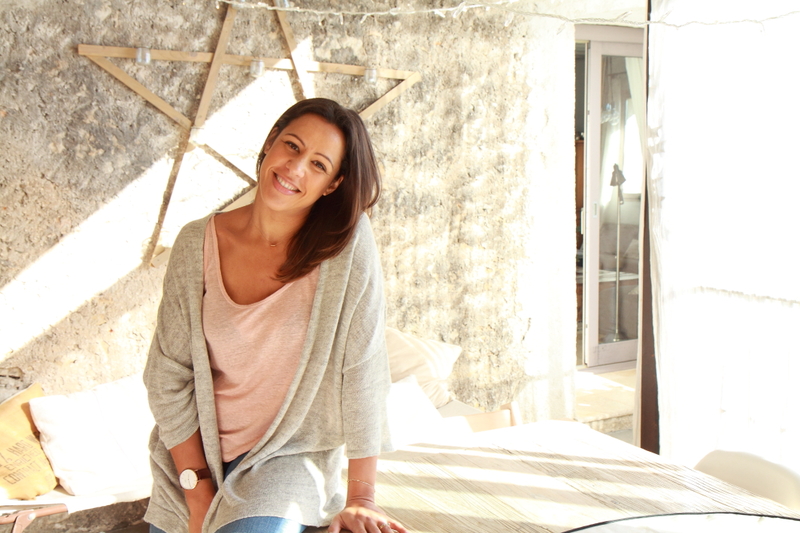 Dear readers, future brides, all our team is pleased to wish you all a very happy new year. 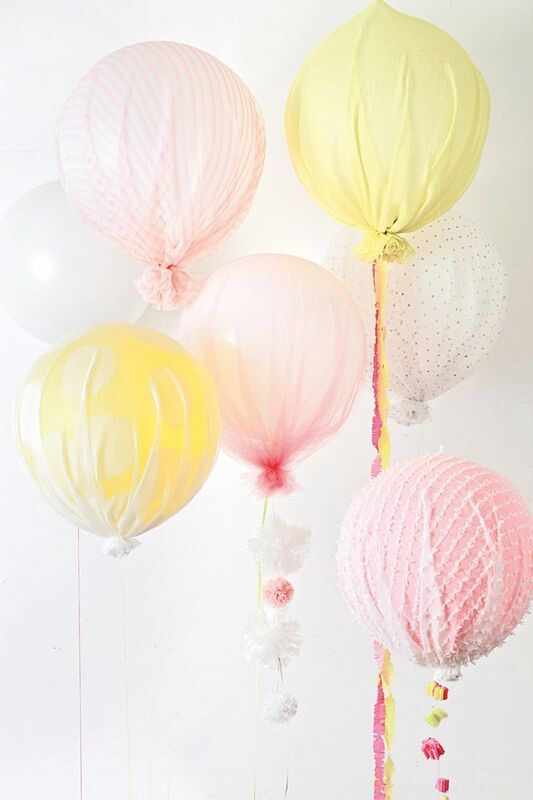 To celebrate 2014, I would like to share with you some ideas we found on the internet to make a wedding decor with balloons. You’ll be able to find more pictures and their references on our Pinterest. 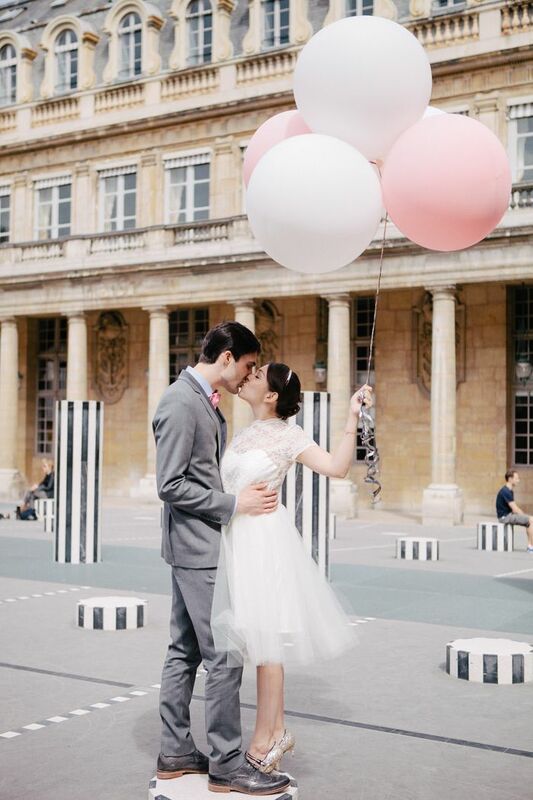 Obviously, we have all seen some nice wedding pictures with very big balloons. Most of them are used for pictures with the bridal couples. 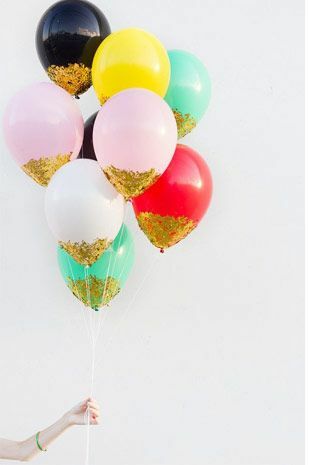 The balloons are usually white, cream or pink. But they can also be used to decorate your whole wedding. 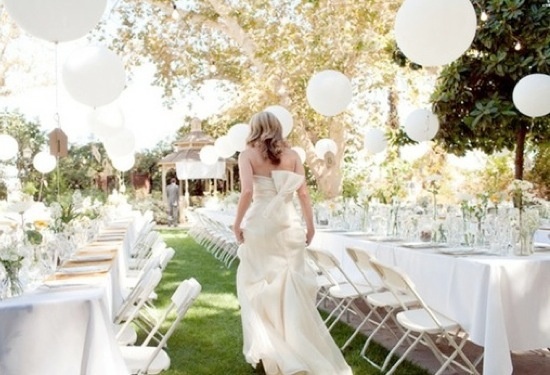 Indeed, balloons are perfect for the wedding ceremony. You can set them up on the chairs on each part of the alley, for instance. 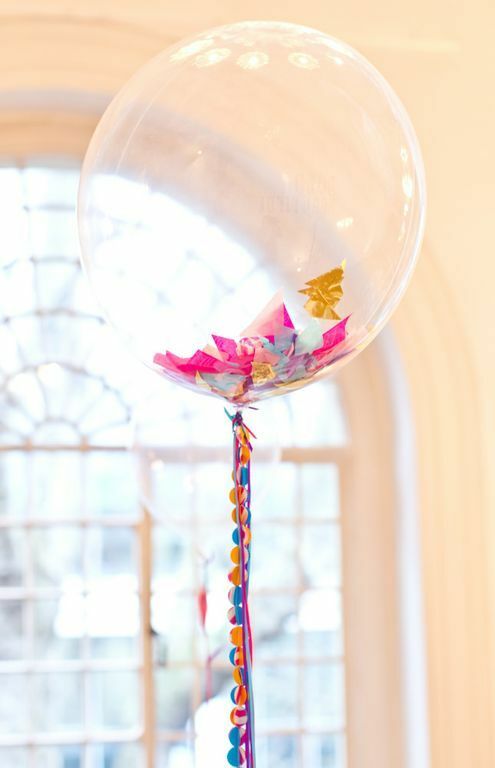 Balloons can be used for the table decoration. The look is wonderful! You may think that balloons are better with a Summer wedding, when everything is done outside, but the following pictures will show you that balloons can be also used for a wedding decoration inside. 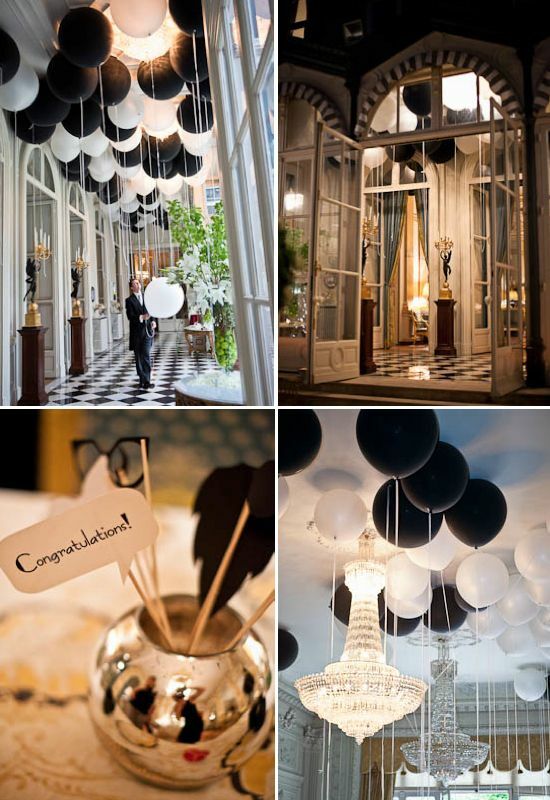 As far as I am concerned, I really like the black and white wedding balloons. 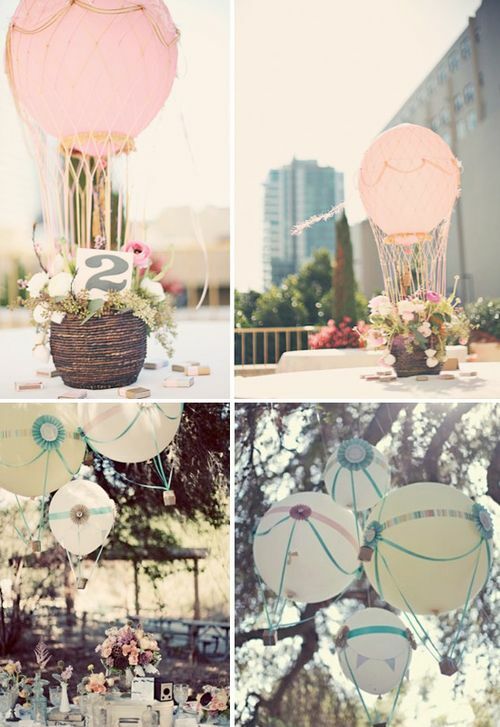 Balloons can also be used as a photobooth or to give some indications to the guests. Indeed, the balloons can give directions to the guests. New kind of balloons are coming too. I like the ones with glitter. What about you ? Some people add some fabric on the balloons to make them more original. 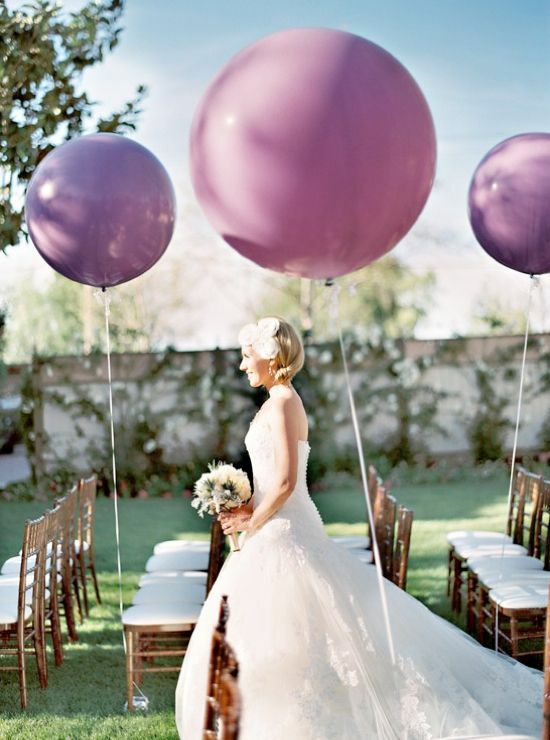 Balloons can become your wedding theme, and from the start, you can use them. 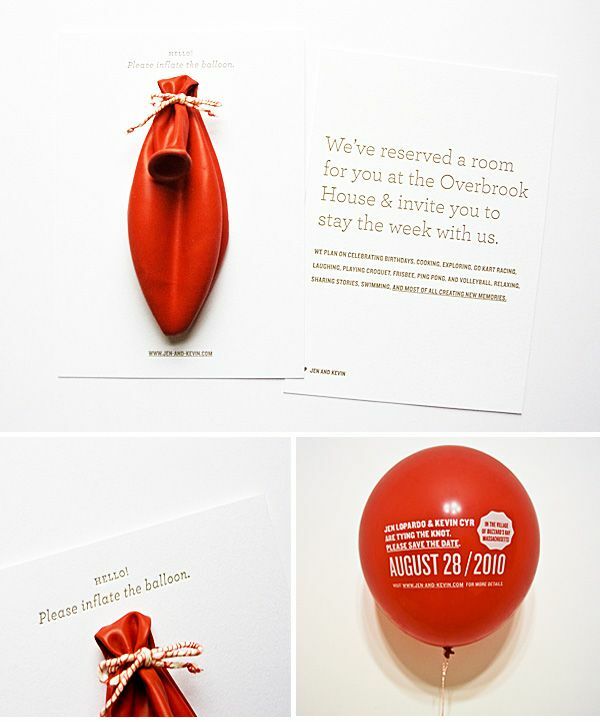 I particulary like this wedding invitation: guests must blow into the balloon to have the information about the wedding. I also have a fondness for the mini hot air balloon as a table centerpiece. Indeed, I had the great opportunity to organise a wedding ceremony in a hot air balloon in France. Do your ceremony in a hot air balloon !